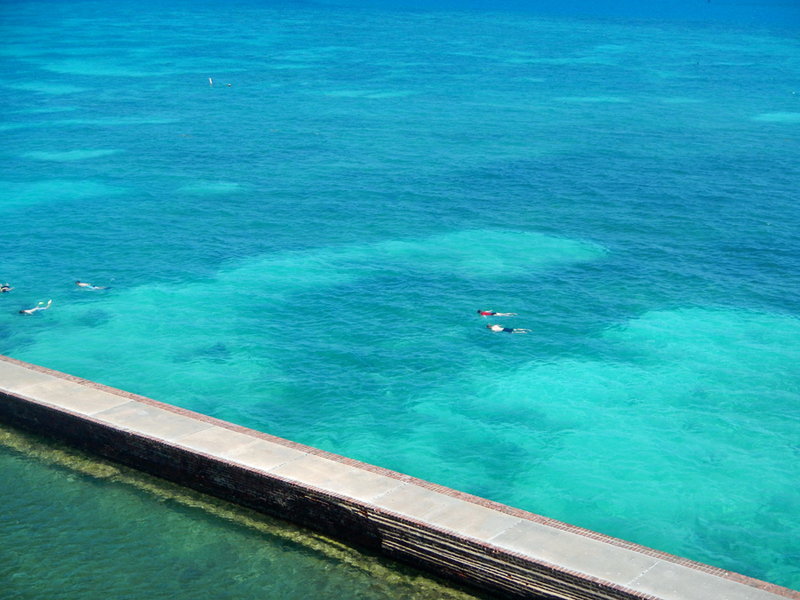 About 10 years ago, Cindy and I came to the Dry Tortugas during a long weekend in Key West. A friend suggested we take the high speed ferry from Key West to Garden Key which is the location of Ft Jefferson. 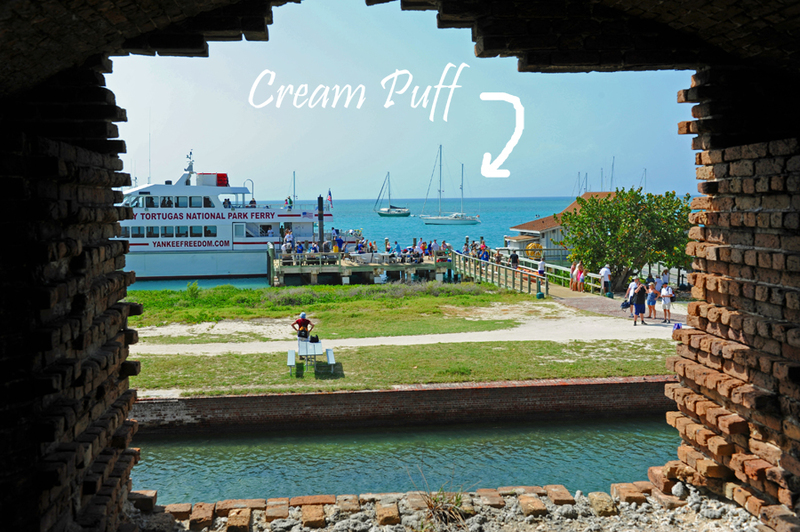 During the tour of the fort, I remember looking out one of the windows at the boats anchored in the beautiful turquoise water of the harbor below and thinking to myself, wouldn’t it be great to have a boat and sail here one day. We arrived pretty late in the day. We found a prime spot and set the anchor. We settled in for the night. I’m embarrassed to say we slept from 9pm to 8am. Yep. 11 hours! I awoke and made a pot of tea. As I normally do on the boat, I took my tea to the cockpit and sat up top in the fresh morning air. Today the view was a little different. I guess I will have to get use to the view being different from now on. Normally, I do the morning crossword. 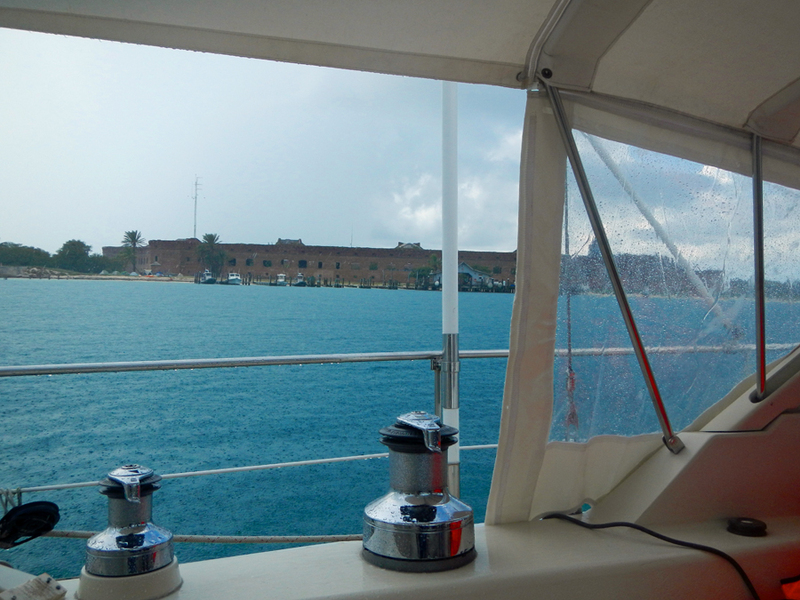 However, The Dry Tortugas has no internet or cell phone coverage. We were completely unplugged and off the grid. The islands making up The Dry Tortugas is a national park. This means it is pretty much the same today as it was when Ponce de Leon first set foot on the isles in 1513 by Juan Ponce de Leon (with the exception of the fort). Nothing to do but take in the view. This spot is a little bit of paradise. The waters are warm, clear and shallow. Snorkeling is a must. We snorkeled the exterior of the fort along the outer wall. Even with plenty of other people on the island, we had no trouble finding some space to ourselves. We saw plenty of fish. But, best of all, it gave Cindy and I a chance to dust off our diving equipment. It’s been years since we SCUBA dove and way too long since we snorkeled. This was a great spot to kick off our cruising adventure; lots to look at and great visibility. Since there are no roads to the Torgugas, people have to travel by boat or sea plane to get there. 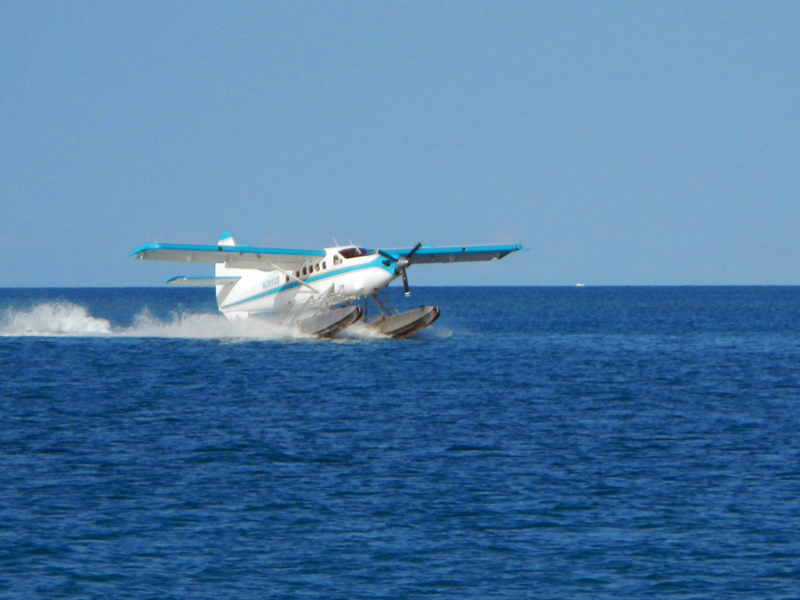 This is the first time I have seen a sea plane. Very cool. It’s a little scary that the plane’s landing area is the same channel as a boat uses to enter the harbor. 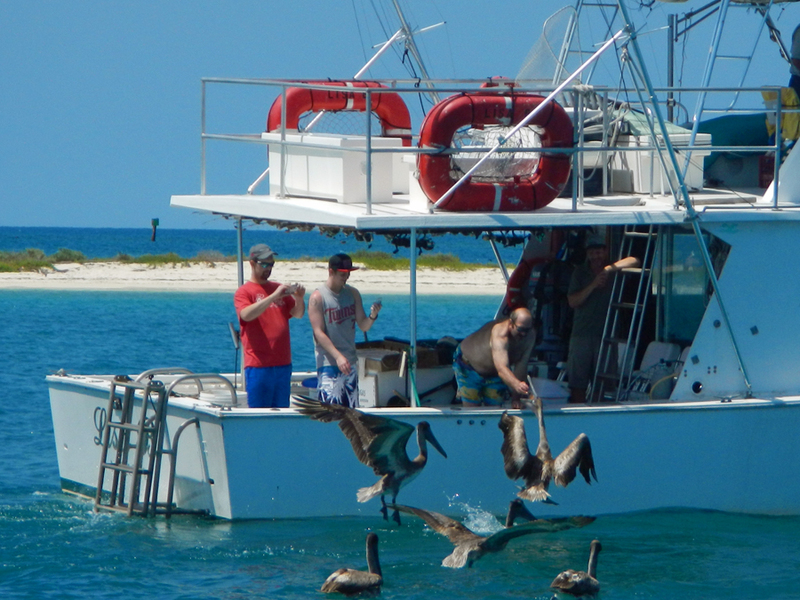 A fishing boat near us make the mistake of feeding some pelicans. After this, they had a hard time getting rid of them. 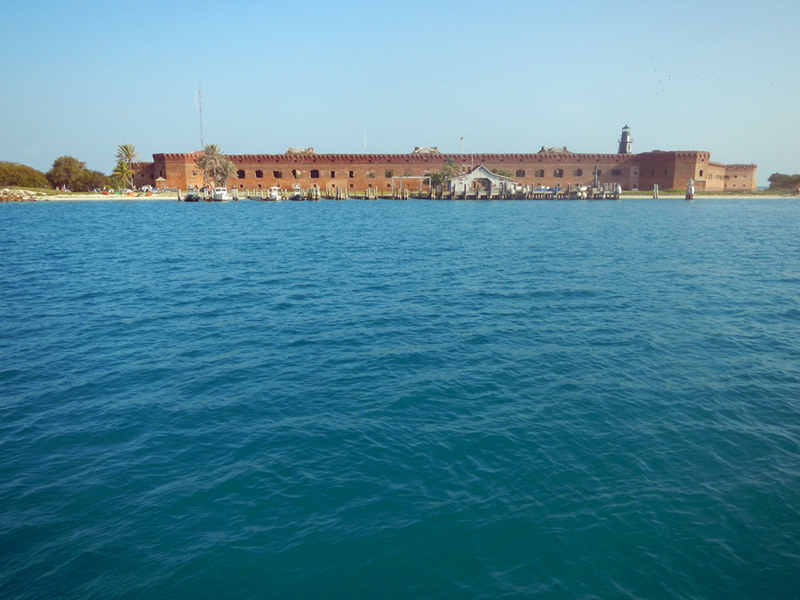 They say, it is called the Dry Tortugas since there are a lot of turtles and it does not rain much. We will vouch for the turtles. However, we think it is called Dry because they don’t serve liquor there.